Registered on 10 June 1933, this 8C 2300 was sold to a dealer acting on behalf of Arthur Fox for Brian Lewis to drive at that year’s 24 Hours of Le Mans, where it finished in third place. It appears that the Brits were not prepared to keep the car and pay duty, as it was sent back to italy following the race. 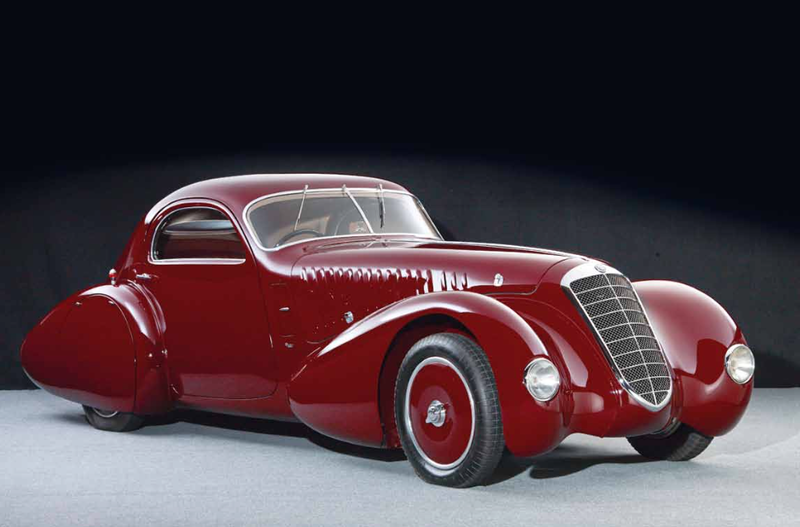 At some point the Touring body was replaced with the fabuolous Viotti coachwork that the Alfa continues to wear today, and the car passed through the hands of several owners before spending a long sojourn in Africa. Having led an illustrious life, the car was featured in Autocar in December 1966, and the story sheds some light on its post-Le Mans life, revealing that it was shipped to Italian Somaliland during the early 1950s, for ‘some Fascist official’, and took part in local competitions there. When the British displaced the Italians from this territory, the car’s owner apparently became the ‘guest’ of King George for the duration, and the car was stored on chocks until he was released. It was later bought by a French woman, Mrs Ellis, who lived in Nairobi. A British army officer, Major Terry Owens persuaded Mrs Ellis to part with the car and enlisted Frank Maschetti, a mechanic and test driver for the Milano factory, to overhaul the engine. the car was also resprayed from what Owens described as ‘mushy pea’ green to metallic silver-blue. In 1995, Guy’s daughter Penny Woodley, who had been given the car some years before, decided to sell it. With the wooden part of the frame completely rotten, the new owner decided to replace the coupé bodywork with a touring-style body and paint it vivid red… Fortunately the Alfa was acquired in 1991 by the Keller collection, in whose care it has been restored to its former Viotti-bodied glory.